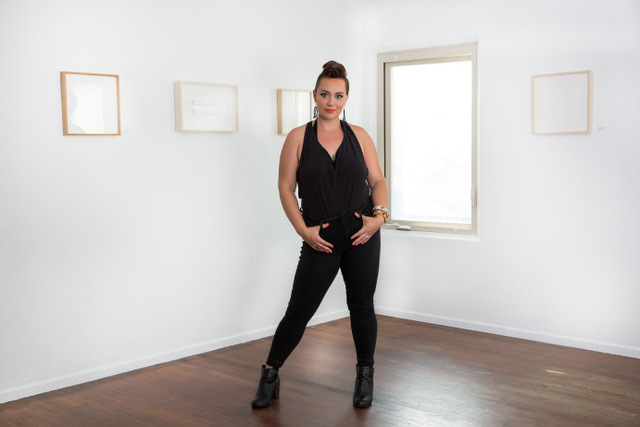 Alumni Katie Ruiz (MFA 2015) is a Chicana artist living in Los Angeles. 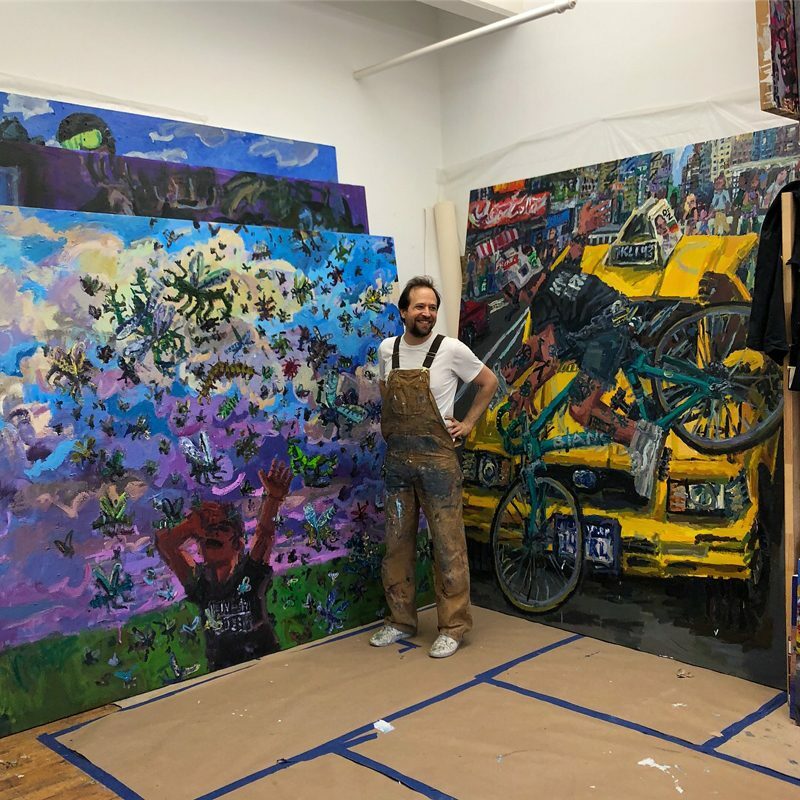 She was raised in Los Angeles and Northern Arizona and returned to California in 2016 after completing her MFA at NYSS to open Vivid Space, an artist run gallery in San Diego. 1. Tell me a little about your background as an artist and gallerist. I pursued my career as an artist from a very young age. Art has been the one thing that keeps me endlessly interested. I took my first pastel drawing class at the age of 6 in Los Angeles, and I fell in love with pigment and drawing. I remember that it was right around the time my parents got divorced, and being surrounded by still-life setups, lights, and easels in that class, I found a sanctuary. While growing up, I used art as a way to survive and enjoy life. I love to imagine and create things. As a Chicana woman, the southwest has been a huge part of who I am. Growing up near the border with one Mexican parent and one Caucasian parent caused me to constantly address my mixed heritage, as well as the pull I felt towards Mexican culture and textiles. The textiles became a pivotal element in my paintings at the NYSS, and I am still working with that theme today. I studied art and printmaking in Guanajuato, Mexico, then finished my bachelor’s degree in Art at Northern Arizona University. A few years later, I moved to New York City to pursue a Master’s in Painting at the New York Studio School. 2. Since completing your MFA at NYSS three years ago you’ve returned to California and opened Vivid Art Space. What led you to move back and open the gallery? After grad school, I spent another year in NYC, before deciding to move home for health reasons and because my father passed away. I wanted to be closer to family. It was a really hard decision to leave New York, and I knew that if I left, I would have to be serious about my art career in a different way. Not being in New York meant that people wouldn’t see me consistently at shows, and that I would have to continue to build my network in new ways. Overall, I feel that moving home was the right decision, although I would love to be able to be bi-coastal at some point. I go back to New York once or twice a year, and always try to have some connection with the NYSS, be it through the alumni show, or by acting as a teacher’s assistant for a Graham Nickson Marathon. Vivid Space (my gallery) came about in a funny way. I wanted to learn the San Diego art scene, and I wanted to meet serious artists. I missed my tight-knit community of artists in NY, and I dreamed of showing the work of people who are underrepresented in the art community. I wanted to help build the art world in San Diego. 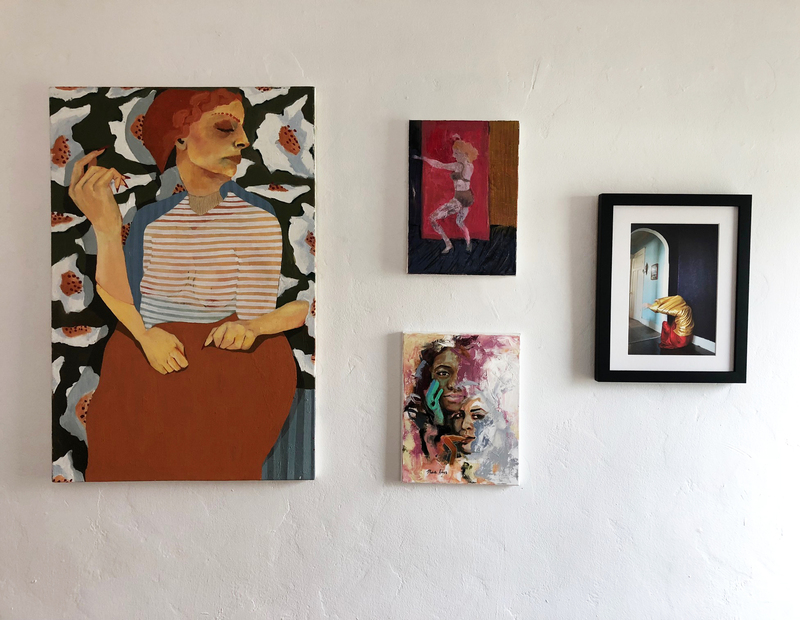 As I explored, I found out that the art world in San Diego is filled with talented artists, many of whom are not being seen outside of their city. The community is very close, and those who show art in San Diego tend to show frequently. I knew that LA had an art world, and Tijuana has a budding art world, and San Diego is right in the middle of it all but is not quite on the map yet. My first show, in December 2017, was a group show of several artists mostly from NYSS. I put on a small works show just to get started. In San Diego, I had been following some artists on Instagram, and I reached out to them. I met artist Daniel Barron Corrales who introduced me to several great artists in San Diego. 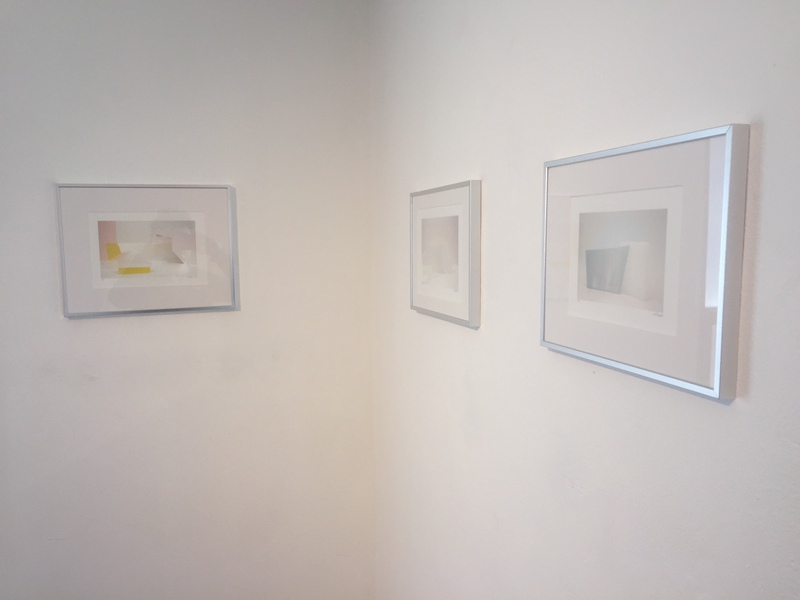 I showed his work in my second show at Vivid Space with KC Tidemand and Fukuko Harris (NYSS Alumni). After that, I created a program where I would feature two or three artists per show, where at least one of the artists was from San Diego, and at least one was from another place. I wanted to build bridges in the art scenes and make connections. 3. How would you describe Vivid Art Space’s programing? What are the priorities of your curatorial practice? I choose two or three artists — usually one from New York (or another state), and one from San Diego. I want the artists to get to know each other, build friendships, and network. It has worked beautifully, and these connections have been really exhilarating to watch. One of my favorite shows was the fourth one I put on. It featured Lexi Campbell, a photographer who I met through the Studio School, along with a local San Diego Artist, Melissa Walter. Both artists had made work that was primarily white. These pieces are quiet and intimate, and they require the viewer to step very close to the paper reliefs and photographs to get a real look at the work. Walter uses cut and stippled paper to make work based on space (she is also a NASA graphic designer), while Campbell photographs sculptures she makes from pieces of glass and string that are positioned in geometric and organic overlapping shapes. Then her photographs are printed on a mat paper, which make them look almost like watercolors. 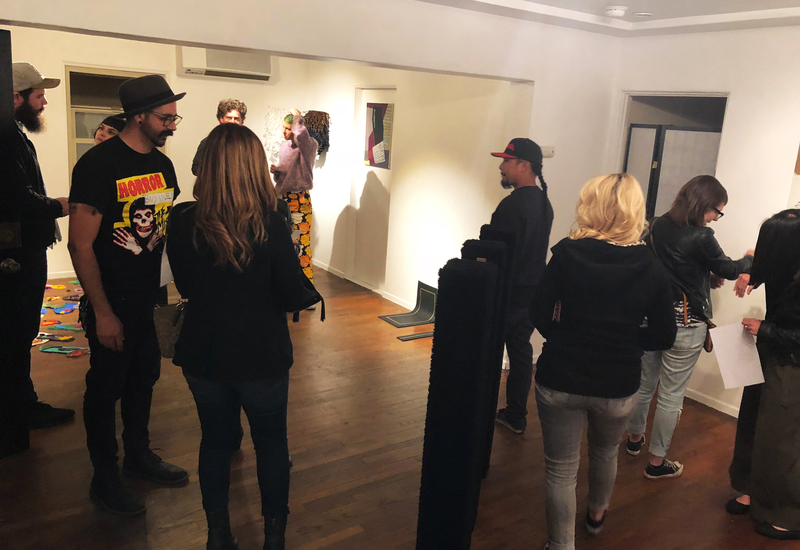 Another interesting pairing was the show Edit Settings, which featured NYSS artist Rebecca Levinson and San Diego artist Robert Andrade. Both used computers to create their work. Levinson created drawings on an iPad, and then printed them on different materials like glass, metal, silk, and rice paper. One of her iPad prints on silk from the show is currently at Hackett Mill gallery for the West Coast Connections show (through the NYSS Alumni Association). In a similar vein, Robert Andrade was making sculptures using 3-D printers. 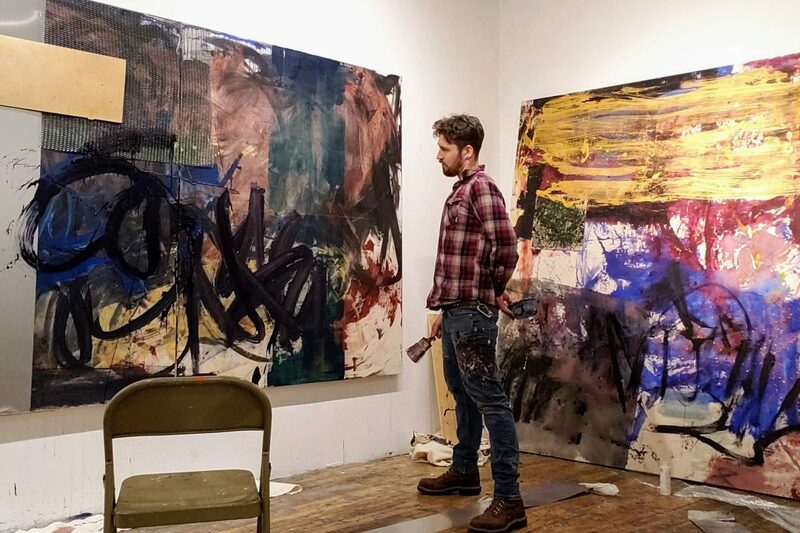 Both of the artists mimic an urban landscape in their work, and together their show presented an urban setting in a whole new way. My mission with Vivid Space is address a multiplicity of goals: to show great art by artists who are underrepresented and deserve to have their work shown; to build bridges in the art world between San Diego and other cities, and to help San Diego get on the map in the art world; to host shows that are professional, clean, well hung, and entertaining, while building networks for those who attend and who show at exhibitions; and to stay true to my taste and vision for the space, while enriching the art scene with new artwork and ideas. The gallery will have put on 10 shows in 13 months by the end of December 2018, which I’ve now discovered is a huge amount of shows to put on! In terms of curatorial practices, this artist-run space has been a project that I was planning on doing for one year. 3. How has studying painting influenced your curatorial choices? Conversely, has your painting practice changed after opening the gallery? Studying painting at New York Studio School with Graham Nickson and Fran O’Neil taught me how to see. I’ll never forget the day I finally got it. It was like a light switch went off in my brain, and my perspectives relative to everything I saw in my life shifted, and it revolutionized the way I viewed a painting composition. My taste will always be my taste, but it has developed as I have learned so much more art history and contemporary art. Because the studio school shaped the way I see, I am sure it’s had a huge influence on the work I have chosen. I love a good composition, I love color, I love paint, I love textiles, but I also love to be surprised by something I didn’t know I liked. I also like to challenge my belief systems and take chances on artists. I chose artists this year who I consider consistent in their practice and in their professionalism. I chose friends, as well as artists who I had never met before. 1. Do I feel excited and intrigued about the work? 2. Who can I match this artist with? 3. Where is this artist in their career? 4. Will they be easy/enjoyable to work with? 5. Do they believe in what I am doing here at Vivid Space? 6. Does the work fit in the space, fit with another artist, fit in the time slot I have available. 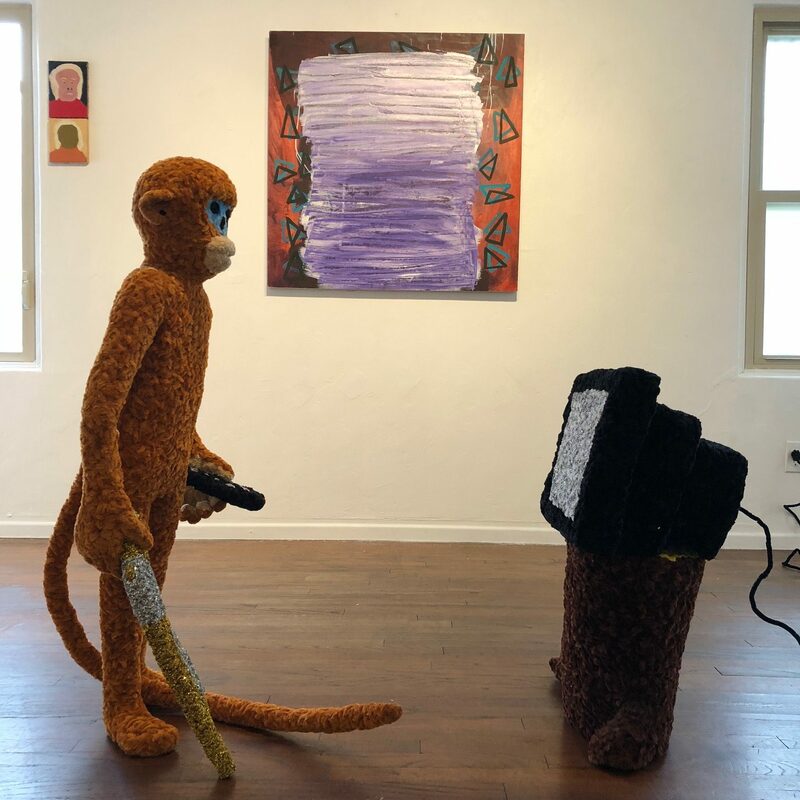 Opening reception of Vivid’s 2nd show “im-Ply” featuring a KC Tidemand installation with paintings by Fukuko Harris and sculpture by Daniel Barron Corrales. 4. What prompted you to study at the New York Studio School and how did your experience at the school shape your work with Vivid Space? I went to NYSS in Fall 2013. I applied to the School and went for a visit, and when I arrived, I just fell in love with the program. I had always been a figure artist, and I wanted a program that gave me a good amount of hours in the studio with the model. I also wanted a small group setting, and one-on-one with professors. The School offered all of these things with Graham Nickson’s figure atelier. While at NYSS, I learned so much about the art world. I went to undergrad in Arizona and didn’t get to see a lot of art in person that I had studied in Art History. When I moved to NYC that all changed. Art came to life. I could see it in person. I could study it and transcribe it. I learned the value of drawing. I’m sure my taste has been shaped by what I learned at the studio school. I valued the teachers’ opinions so much along with who they recommended to me. People like Judy Glantzman and Ron Milewicz , Elisa Jensen, Fran O’Neil, Leonid Lerman, and several more. At NYSS I learned about helping each other. The people at the New York Studio School are different because instead of competing with each other, they help each other. There is a very different vibe in the school that reflects on everyone who goes there. You are now part of a team, a larger vision to constantly strive to make the best work through a constant means of searching through drawing study and practice. 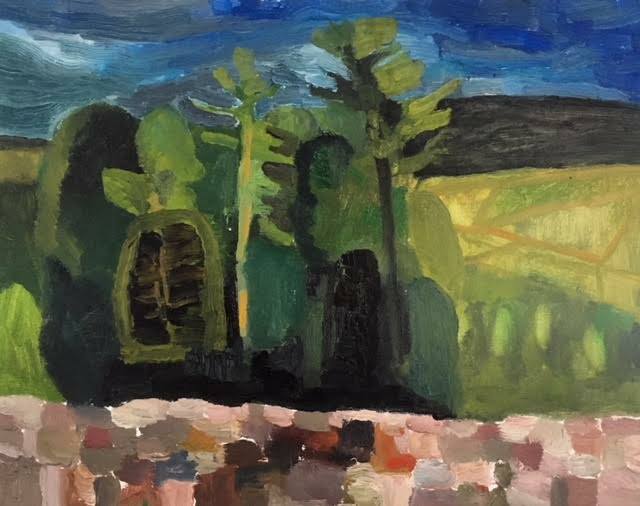 It is an understanding that if you meet someone from the studio school you make a valuable connection and an underlying shared vision of art through collaboration and a supportive environment.